Miller’s Casework has continued to raise the bar when it comes to the commercial cabinet industry. 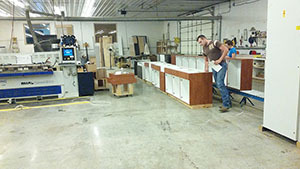 We provide clients in Kingsport, TN with top of the line commercial cabinetry. There is certainly no shortage of options when it comes to customizing your cabinets with us. For a free estimate on your new commercial cabinets, call Miller’s Casework today at 931-739-9292. When you hire Miller’s Casework for your commercial cabinet needs, you’ll feel as though your cabinets are being tailor-made for your space and preferences. We offer so many colors, materials, etc. 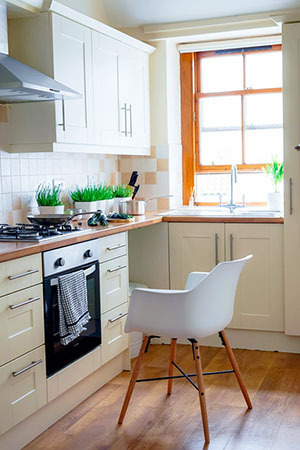 that we’ll be able to help you design the perfect cabinets to compliment the room and building. Despite having such a range of options, we still make it easy for clients to browse through them and mix and match different styles to see what it would look like. From there, we get to the manufacturing process where we blend innovative technology with traditional quality woodcrafting techniques. Miller’s Casework is based out of Sparta, Tennessee which puts us in close proximity to clients in Kingsport, Chattanooga, Knoxville, and more. Our owner, Albert Miller, comes from a family with a deep history in Old World woodcraft. We have the customer care of a small business with the big-company ability to handle large-scale commercial cabinet projects. Despite such traditional woodcrafting roots, Miller’s Casework takes advantage of today’s top software for the designing and manufacturing process. This means clients are essentially getting the best of both worlds. Our system ensures mistake-free cabinets that are designed to suit the exact taste of our clients. Miller’s Casework is known for elegant cabinets of all shapes and sizes. However, this doesn’t mean that our rates are ridiculously high. Instead, we offer high-quality cabinets at competitive prices. Miller’s Casework makes the commercial cabinetry process as easy as possible for clients and can work around any budget. There’s a reason why we have so many repeat customers. 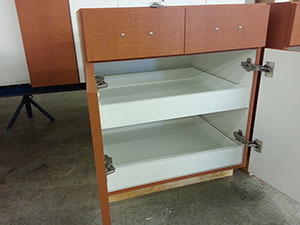 Miller’s Casework is quite simply the best choice for clients in Kingsport, TN that are in need of commercial cabinets. 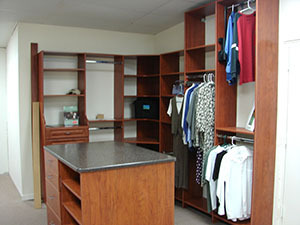 We also provide premium custom closets, lockers, and more! If you have any questions, feel free to give us a call at 931-739-9292. Are you looking for a reputable cabinet manufacturer? Miller’s Casework manufactures both residential and commercial cabinets. We help clients in Kingsport, TN get their ideal cabinets at a competitive price. Give us a call today at 931-739-9292 for a free estimate. Miller’s Casework handles cabinet projects of all sizes. Whether you hire us for a one-time gig or if you’re looking for a longterm cabinet partner, you won’t be disappointed. Our craftsmanship always passes the standard from the Architectural Woodworking Institute. Miller’s Casework is a family company with deep roots in Old World woodcraft. We’ve taken the technique and beauty from this style and blended them in nicely with innovative modern technology. This helps us to produce high-quality and detailed cabinets on a large scale, error-free. The craftsmen at Miller’s Casework have a wealth of experience in the woodcraft industry. We stay focused on providing clients with the end results that they’re hoping for. We make beautiful frameless cabinets, gym lockers, custom closets, and more! Our commercial casework is fully customizable. We offer a huge selection of designs to allow clients to pick and choose between styles. Miller’s Casework will help you suit any room or style through a convenient spread of color options, materials, hinges, and more to choose from. We offer both HPDL and Melamine cabinets. HPDL is the standard, durable cabinet while Melamine is more affordable and has the potential for more project flexibility. We also offer a variety of brands to accommodate any of your preferences. As a family-operated company, we make a great effort to provide clients with high-quality customer service. Miller’s Casework relies on maintaining our solid local reputation so we make sure to properly communicate with clients throughout the cabinetry process. Miller’s Casework is a residential and commercial cabinet manufacturer that you can trust. We have a ton of positive customer testimonials that describe what it’s like to work with us. Clients in Kingsport, TN in need of a cabinet manufacturer can reach us at 931-739-9292. We’ll work with you to design cabinets that are perfect for your space. Frameless cabinets are one of the most popular styles on the market today. Miller’s Casework specializes in custom commercial casework. This includes cabinets with a stylish European frameless design. Our service area includes clients in Hendersonville, TN. For a free estimate on the custom cabinets of your dreams, give us a call at (931) 739-9292. Aside from being in style, frameless cabinets are both practical and functional. 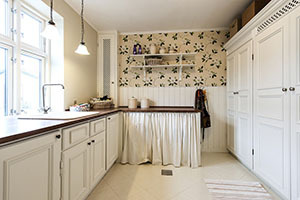 For one, frameless cabinets utilize space better than any other type of cabinet. When it comes to a frameless cabinet, no space is wasted. 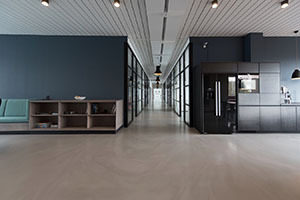 The cabinets themselves look very sophisticated and are a great choice for a commercial building. With frameless cabinets, shelves are very simple to mount and it’s easier to store larger items. 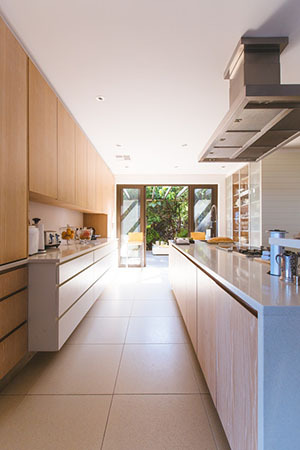 In fact, frameless cabinets are also referred to as full-access cabinets because of the way that they maximize space. Frameless cabinets are modern and elegant and are sure to brighten up the room. We’re a family-oriented business that is recognized for providing expert craftsmanship. We use a computerized manufacturing process which allows for detailed cabinets that can be customized exactly to your liking. Our team of trained craftsmen are always there to ensure the quality of each cabinet. At Miller’s Casework, all of our work comes equipped with a 100% customer satisfaction guarantee. With a unique blend of traditional woodcraft and modern technology, Miller’s Casework has found a way to combine the best of both worlds. When you hire us for to produce your customized cabinets, you’ll be amazed at the number of options we have to offer. Our system is set up to make the browsing process as easy as possible so you’ll be able to mix and match styles and find the one that you like the most. 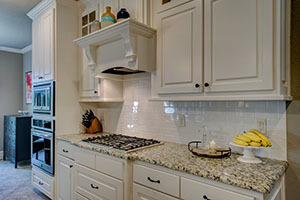 Clients in Hendersonville, TN can count on Miller’s Casework for any of their cabinetry needs. We customize frameless cabinets and have a variety of choices to choose from. There’s no better time to add some beautiful frameless cabinets to your commercial building. Give us a call today at (931) 739-9292 for a free project estimate. If you have any questions, one of our personable representatives will be happy to help you out. Miller’s Casework is a premier cabinet manufacturer providing services for clients in Hendersonville, TN. 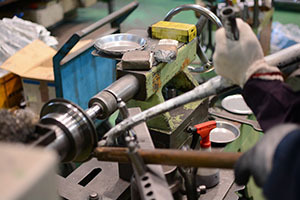 We combine traditional, high-quality craftsmanship with new-age manufacturing techniques. Whether it’s a casual cabinet for your bathroom or a detailed custom cabinet for a business space or dining room, we can help. Give us a call at (931) 739-9292 for a free estimate. We make your vision for your new cabinet(s) come true. Our products are durable, long-lasting, attractive, and functional. 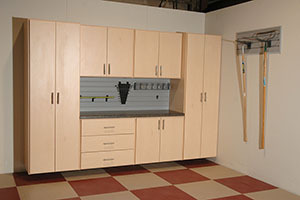 We handle jobs of all types and sizes and manufacture cabinets for both commercial and residential clients. The amount of options you have to choose from are limitless. If you have a certain deadline in mind, no problem — we make the process as efficient as possible to help our clients get the cabinets of their dreams on time. Choose from High Pressure Decorative Laminate cabinets or Melamine cabinets. The HPDL cabinets are available in a variety of colors while the Melamine cabinets have a couple different primary color choices. Customize everything from the color and material of your cabinet down to its hinges! There are several ways that we can spice up your cabinets for you. 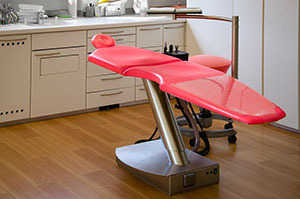 Choose from finished ends or interiors, pre-finished veneers, plywood cores, and more! Our ability to provide clients with the cabinet that they’ve always dreamed of is second to none. All of our cabinets are made one at a time. Choose all of the necessary specifications, such as color, material, and size. We use only the highest grade materials for our cabinets to ensure that our clients are getting the best product possible. Miller’s Casework uses innovative technology like Computer Numerical Control software to ensure that every cabinet we manufacture is free from errors. 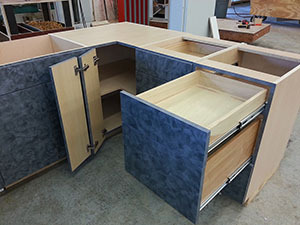 This software allows us to create flawlessly detailed cabinets. Whatever designs you have in mind, this software turns it into computer-speak to form a beautiful and high-quality product. We’re proud of our reputation as the top cabinet manufacturer for clients in Hendersonville, TN. Miller’s Casework continues to provide local clients with unique and flawless customized cabinets. For more information on our services, give us a call at (931) 739-9292. Miller’s Casework provides high-quality commercial cabinets. Our cabinets can be customized to meet your vision exactly. We’re the top commercial cabinet manufacturer for clients in Hendersonville, TN. For a free estimate on the commercial cabinets of your dreams, give us a call at (931) 739-9292. Miller’s Casework combines traditional craftsmanship with new, cutting-edge technology. Our owner Albert Miller is from a family that has a deep background in woodworking. Today, we use software and machinery that create accurate and error-free products that our clients have designed themselves through our many cabinet options. We offer custom cabinets for all sorts of commercial spaces. This include hotels, doctor’s offices, businesses, athletic spaces, and more. With our variety of options in materials, designs, colors, and specifications, we can create the exact cabinets that you’re looking for. Miller’s Casework makes the design process as easy as possible for clients. Our system makes browsing between specifications simple which allows clients to easily navigate through our wide variety of options. Our goal is to make the cabinets that you visualize come to life. Get beautiful custom cabinets at unbeatable prices. We’re the best value company around that mixes low prices with products of the highest quality. Our friendly associates work with our clients to make the process as smooth and efficient as possible. 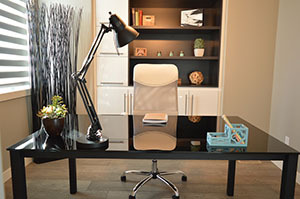 Miller’s Casework is a family-owned and operated company. We rely on maintaining a solid local reputation which is why we put the same amount of care and attention into each and every project. Our software is designed to optimize the manufacturing process and limit the amount of raw material waste. We work with you throughout the design process. Our team of expert technicians can help you with any of your questions or concerns. From the design process to manufacturing to installation, Miller’s Casework is there for you every step of the way. 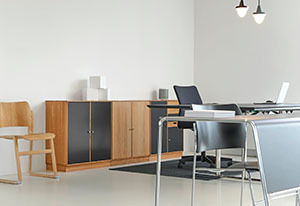 Miller’s Casework offers the best value commercial cabinets in the area. We provide services for clients in and around the Hendersonville, TN area. For a free estimate on your new custom commercial cabinets, give us a call at (931) 739-9292. Minimalistic designs are currently in style. Rather than adding a bunch of fluff to a product, minimalistic designs (i.e. frameless cabinets) focus on both practicality and functionality. At Miller’s Casework, we specialize in all types of designs for cabinets, including frameless cabinets. Clients in Bartlett, TN interested in customized frameless cabinets can give us a ring at (931) 739-9292. We’ll answer any of your questions give you a free project estimate. The fact that minimalistic designs are currently in style means you can get the best of both worlds: a stylish cabinet that is also practical. With a frameless cabinet, no space is wasted. At Miller’s Casework, our frameless cabinets are significantly stronger than standard stock cabinets. You can maximize the potential of your space with this smart design which can hold a lot more than other cabinet frames that are of similar size. Frameless cabinets are both sophisticated and efficient. Miller’s Casework is a family-oriented business; we truly work hard to exceed the expectations of our clients. In fact, we offer a 100% customer satisfaction guarantee because we’re confident in our ability to produce exactly the type of cabinet that you are looking for. At Miller’s Casework, we blend the benefits of old-fashioned woodcraft with innovative technology. It’s the best of both worlds. Through the use of modern technology, you can browse several different designs and colors so we can create the perfect frameless cabinet for you. We use only the best materials so that our products are both beautiful and long-lasting. Our seamless designs are unique, aesthetically pleasing, and fully functional. Whether it’s for your bathroom, home, office, commercial building, garage, etc., Miller’s Casework will create a frameless cabinet that fits both the space and the design of the room perfectly. If you want to learn more about our frameless cabinets or our other products, you can reach us today at (931) 739-9292. Our friendly team will work with you throughout the process so we can create exactly what you are looking for. 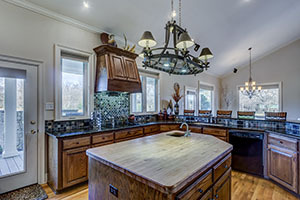 As a local company, we take pride in providing clients in Bartlett, TN with uniquely designed cabinets of the highest quality. Are you looking for a local commercial cabinetry company that can make your vision come to life? Miller’s Casework is based out of Sparta, TN and we’ve been providing quality commercial cabinets for clients around the Southeast for years. We’re the top option for clients in Bartlett, TN. Call us today at (931) 739-9292 to find out more and to receive a free quote! Miller’s Casework specializes in customizing commercial cabinetry so that it suits our clients’ space and needs to a tee. We pride ourselves in providing products that are both beautiful and functional. You simply won’t be able to find stock cabinets that can come close to competing with what we offer. Miller’s Casework utilizes a frameless European design that mixes modernity with quality old-school craftsmanship. You’ll impress many with a unique set of customized cabinets that really bring the room together. Our team can effectively design your ideal cabinets using innovative technology that allow us to put together each and every tiny detail. Our CNC software will also allow you to browse your customized cabinets in different colors, materials, finishes, accessories, etc. This way, you can explore a myriad of options before settling in on a design to ensure that you’ll be getting the cabinets of your dreams. We have hundreds of colors, designs, and accessories to choose from. Miller’s Casework is a family-oriented business with deep roots in Old World craftsmanship. With us, you can expect unique and detailed designs. We blend the benefits of modern technology with our old-fashioned approach to woodcraft. We use only the finest materials and are genuinely passionate about what we do. At Miller’s Casework, we have warranty options for all of our products to ensure that our clients get what they pay for. We’re so confident in our work that we also offer a 100% customer satisfaction guarantee. Our team puts the needs of the customer above all else. Clients in Bartlett, TN can rely on us for any of their commercial cabinetry needs. You can reach us at (931) 739-9292 for a free no-obligation project quote. Miller’s Casework offers commercial cabinet design, manufacturing, and installation to residents of Bartlett, TN, and the surrounding areas. Our team members can take your ideas and turn them into the custom casework, cabinets, and countertops you need, no matter the space. At Miller’s Casework, we provide much more than just cabinets. Our value is rooted in our commitment to beautiful, professional custom design services and superior customer service. Call (931) 739-9292 today to experience the Miller’s Casework difference and get your commercial cabinets on a roll! As a family-owned enterprise, Miller’s Casework stays close to its heritage. Owner Albert Miller comes from a long line of woodworkers who honed their old world craftsmanship skills. Today, Miller’s Casework combines that commitment to beautiful, quality pieces with software and machinery that ensures clean, precise design and cuts every time. We pair our industry-leading machinery with innovative operator software for optimized cutting and processing that minimizes the raw material waste. Our nesting and cutting technology allows for rectangular and free-form shapes, and the integrated CabinetControl Base furniture design software allows designs to be rendered in 2D or 3D. No matter where you plan to install your commercial cabinets, the team at Miller’s Casework will help you design and execute your dream cabinets. From design to manufacturing to installation, Miller’s Casework can help you get the beautiful custom cabinets you want at the price you desire. We have some of the most competitive prices in the industry, and would love to work with you to make sure you get exactly what you want. Call us today at (931) 739-9292 to learn more and talk to one of our friendly, knowledgeable associates about how we can turn your commercial space into an efficient, space-saving, attractive area with new, custom commercial cabinets. As a leading custom cabinet manufacturer for the South Miller’s Casework takes great pride in its work. Owner Albert Miller and his family blend beautiful, old world craftsmanship with modern manufacturing processes to create the perfect cabinet for you. Whether you are looking for semi-custom cabinets for your bathroom or business space or elaborate, detailed cabinetry for a formal dining room, Miller’s Casework has it all. We at Miller’s are committed to helping you create your dream cabinets. For durable, quality commercial or residential cabinetry, call us today at (931) 739-9292. Cabinets are available in 2 materials, High Pressure Decorative Laminate and Melamine. At Miller’s Casework, we’ve reduced the opportunity for human error in the manufacturing process. We use Computer Numerical Control software to ensure your cabinets are produced consistently, accurately, and flawlessly. Put simply, our industry-leading CNC software creates program codes and instructions to run our routing machines. It turns your designs and specifications into computer-speak. As a result, when you order custom cabinets from Miller’s Casework, you will receive beautiful, precise, detailed products of the highest quality. When you order cabinetry from Miller’s Casework, we don’t pull dusty casework off of a shelf. We make each cabinet, one at a time, to your exact specifications – size, color, material, and more. Every cabinet we build is made of premium-grade materials that meet or exceed American Woodworking Institute standards.